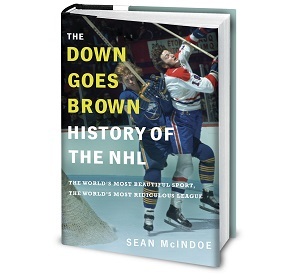 Last week, Grantland published my version of the concise NHL Dictionary. I used the opportunity to make fun of Gary Bettman, the Lady Byng Trophy, enforcers, advanced stats, people who don’t get advanced stats, several players, and most teams. And as it turns out, everyone was fine with that. Then I said NHLPA Hockey ’93 was a better game than NHL ’94. That part didn’t go over so well. Look, I understand that this is a divisive issue that hockey fans feel strongly about, and I’m willing to admit that’s it not an easy call. It’s even possible that I’m wrong. That’s been known to happen once or twice a decade. Clearly, we need to dig into this in a lot more detail. And so that’s what we’re going to do, 20 years later, by breaking down the head-to-head matchup in a dozen key categories. First, a little bit of history for those who may not be familiar with the two games because you’re too young or too old or your parents never loved you. NHLPA ’93 and NHL ’94 were the second and third versions of EA Sports’ NHL video game series, which — to this day — is easily the most famous and critically acclaimed hockey game ever made. (The first version was technically just called NHL Hockey, but for simplicity’s sake I’ll be referring to it as NHL ’92.) They were revolutionary, and along with Tecmo Bowl are the only things from the early ’90s that aren’t horribly embarrassing in hindsight. And I think it’s fair to say that most people seem to like NHL ’94 better. That shouldn’t be a surprise; after all, NHL ’92 introduced the series and NHLPA ’93 advanced it, and all things being equal you’d expect NHL ’94 to take things another big step forward. And in many regards, it did. It was a very good game, and everyone loved it. But was it really better than its predecessor? There’s only one way to find out: on to the head-to-head. That sounds like it would be a pretty big issue, but it was surprisingly easy to get past. Instead of the Montreal Canadiens, you just had “Montreal,” a nameless team that through a weird coincidence just happened to have the exact same uniform colors as the Habs. As long as you weren’t an Islanders fan stuck playing as “Long Island,” you might not even notice the lack of an NHL license. NHL ’94: This was the first game in the series to hold both licenses. So you had everything: player names, team logos, and even the Stanley Cup (instead of the weird-looking knockoff in NHLPA ’93). NHLPA ’93: There were no one-timers, which meant that if you wanted to score you had to get creative. Plays had to be set up, shots chosen carefully, and specific players used in the roles for which they were best suited. Scoring goals in NHLPA ’93 was hard. Unless, of course, you just used one of the many glitchy moves that seemed to work all the time, like piling into the crease, doing that wraparound move, or flipping the puck in so it bounced off the goalie’s head and then scoring into the empty net while he was stunned. But I’m assuming you were an honorable person who would never resort to such chicanery. NHL ’94: The addition of one-timers was the single biggest improvement to NHL ’94, and is a big reason why so many people still love it. And understandably so — one-timers were super fun. They were easy enough to execute once you got the hang of it, and they worked. In fact, they probably worked too well, and this is where I part ways with some NHL ’94 fans. While it was cool to have a new way to score, it quickly became apparent that the one-timer was essentially unstoppable. It didn’t matter who the shooter was, or whether they were in position. If you could get the puck to Stu Grimson on his backhand while he was facing the wrong way, he was going to roof a laser beam. And the AI rarely used them, so it basically became impossible to lose to the computer in a game of NHL ’94. Edge: NHL ’94. In hindsight, the one-timer probably ruined a decade’s worth of EA Sports hockey games. The problem got even worse in NHL ’95, with its weird Pacman-on-ice skating system, and to this day the old “skate down the wing, circle back, and throw it blindly out front for the one-timer” move is still a staple of the NHL series. But when it debuted it was great, and way more fun than the dirty goals you had to rely on in NHLPA ’93.